The Modi government’s budget for the fiscal year 2014-15 is important in two respects. It is for the first time in the last 30 years that the budget has been presented by a government led by a party with a majority in the Lok Sabha. That, in turn, means that the government had full freedom to make the budget in accordance with its priorities, policies and agenda. Secondly, the government has disbanded the Planning Commission and replaced it with NITI Ayog, which is a policy-making think-tank. It would be interesting to explore what impact these two factors have had on the budget. Instead of increasing the budget for public health, the government has curtailed it by 5.7 per cent. Rs 35,163 crore has been allocated for Health and Family Welfare, which is 16 per cent less than last year’s allocation of Rs 29,653 crore. The funding of the AIDS control department has been slashed by 22 per cent, down from Rs 1,785 crore last year to Rs 1,397 crore. The health-sector funding is being squeezed when the government is already spending much less than needed on this vital sector. The government has recently presented the draft of National Health Policy 2015, which talks about setting aside 2.5 per cent of the GDP for health services. But looking at the budgetary allocations, it does not seem that the government is serious about implementing its own health policy. The tax exemption on premiums for health insurance policies has been raised from Rs 15,000 to Rs 25,000. In the case of senior citizens, it has been raised from Rs 20,000 to Rs. 30,000. It is also proposed that for very senior citizens (80-plus years of age), the limit will be raised from Rs 60,000 to Rs. 80,000. On the face of it, this seems to be a welcome initiative but it loses its lustre when juxtaposed against the fact that not even 10 per cent of the country’s population has health insurance. Moreover, health insurance programmes can succeed only if the country has a robust healthcare system, which, as the budgetary allocation indicates, the government does not seem to be intending to build. These measures are clearly intended as sops for India’s growing middle class, to be serviced largely by the private sector. In view of the severe shortage of doctors in the country, the government has decided to establish All India Institutes of Medical Sciences (AIIMS) in J&K, Punjab, Tamil Nadu and Assam. In Bihar, an AIIMS-like institute is proposed. What is interesting is that in the Supplementary Budget too, the government had announced that four similar institutions would be established in different parts of the country. But the decision has yet to be implemented. Why is it that the government takes years to establish a top-class medical institution while the corporate Medanta hospital gets going in just a year? Won’t it be better if, along with such announcements, a time frame for execution of the project is also indicated and adhered to? In this budget, no change has been made in the allocation for the Health Research Department under the Ministry of Health. Last year, the department had got Rs 1,017 crore. This year, it has been given Rs. 1,018.17 crore. Hospitals cannot be run by doctors alone. Paramedics, too, are required. There is a need for establishing institutions for training of paramedics. Similarly, public-health institutions of global standards are needed to produce professionally competent public-health workers. There should also be sufficient budget for research and development. This budget is disappointing on both these counts. The number of senior citizens in India is around 10.5 crore. It is estimated that by 2030, their number would be 19.80 crore and by 2050, around 30 crore. Providing economic, social security and health security to this growing population of senior citizens is a big challenge. Financial constraints often come in the way of looking after old members of families. About 13 per cent of the total expenditure of a typical Indian family is on health. In this context, there is a need for special schemes for the medical care of senior citizens. There is, however, no mention of this issue in the budget. Prime Minister Narendra Modi had launched the Swacchha Bharat Abhiyan with great fanfare. But the Ministry of Urban Development, which is supposed to execute the programme, could spend only 33 per cent of the funds allocated. In this budget, the government has reiterated its resolve to build 6 crore toilets in the country. It is a noble objective but given the government’s poor track record, the target is unlikely to be met. It is no secret that a majority of children in the country are malnourished. According to the latest report of the International Food Policy Research Institute (IFPRI), of the 84 crore malnourished children in the world, almost one fourth, ie, 21 crore live in India. But there is not a word in the budget about issues like malnutrition and food security; neither does it talk about the availability of potable water and other public-health facilities. 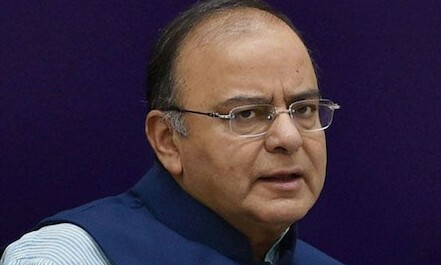 In his budget speech, the finance minister reiterated the government’s commitment to ensuring safety of women. The budget provides an additional Rs 1,000 crore for programmes related to women’s safety and advocacy and for raising awareness levels among them. This is a welcome move. Many countries have launched unified health service systems for providing free and universal health services. Besides rich nations (barring USA), they also include developing economies like Brazil, China, Cuba, Mexico, Sri Lanka and Thailand. India has also expressed its commitment towards providing “universal health coverage” and it also finds mention in the proposed national health policy. If India has to achieve this objective in the next 10-20 years, the groundwork must begin now. However, going by the budgetary allocations, it doesn’t seem that the government is serious about its commitment. Not only that, the allocations for ICDS (Integrated Child Development Scheme), Mid-Day Meal Scheme and Sarva Shiksha Abhiyan have been slashed and the government has refused to enhance the honorarium of Aanganwadi and ASHA workers. Substantial cuts have been made in allocations for agriculture, drinking water and sanitation schemes, Panchayati Raj and water resources, and woman and child development. The government says that it will establish Micro Units Development Refinance Agency (MUDRA) Bank for encouraging SC and ST entrepreneurs. The bank, which will ensure easy availability of credit to SC and ST entrepreneurs, will be launched with an initial capital of Rs 20,000 crore. Its loan guarantee fund will be Rs 3,000 crore. It is laudable that the government is at least thinking in terms of encouraging entrepreneurship among Dalitbahujans. In a market-centric economy, the wellbeing of any individual or group depends on their share in the market and their entrepreneurial skills. In a study titled “Markets and Social Institutions: Survey of Dalit Households” conducted by Devesh Kapur, head of Centre for Advanced Study of India (CASI) at the University of Pennsylvania, Chandra Bhan Prasad, D. Shyam Babu and Lant Pritchett, 20,000 Dalit households in Uttar Pradesh were surveyed. The study concluded that there has been a substantial improvement in the condition of Dalits between 1990 and 2008. The study says that the improvement was due to the growth of entrepreneurship among the Dalits. Thus, promoting entrepreneurship is a surefire method of improving the lot of any community or group. But the seriousness of the government towards promoting entrepreneurship among Dalit-Bahujans can be gauged from two examples. To begin with, statistics are needed to take any policy decision. Statistics tell us the factual position. But the GoI has no official figures regarding Dalitbahujan entrepreneurs. Government surveys do tell us about the assets of Dalit families and the number of self-employed Dalits but no information is available regarding Dalit entrepreneurs and businessmen. According to broad government estimates, there are around 5.77 crore small business, manufacturing and training units in the country, of which 62 per cent are owned by SCs, STs and OBCs. CASI did attempt to collect information about Dalitbahujan entrepreneurs. In a pan-Indian survey, it was found that a thousand Dalit entrepreneurs ran businesses with an annual turnover of Rs 1 crore or more. The figure may look impressive but given that the population of Dalits in the country is 16.6 crore, it is quite insignificant. A caste census could have provided caste-wise statistics of self-employed persons, entrepreneurs, businessmen and their assets. However, the Congress-led UPA government did not show any serious interest in a caste census. The BJP-led NDA government does not seem interested either. The government has also decided to create a Rs 1000 crore Self-employment and Talent Use (SETU) corpus to promote entrepreneurship. However, given the number of small businessmen in the country, this amount is far too small. The Modi government is shouting from the rooftops about its National Skill Development Mission. Estimates suggest that by 2020, the total workforce in India will be 11.3 crore strong. The productivity of this workforce is a function of its skill levels. Earlier governments had launched many programmes and made meaningful efforts to impart skills to the youth. However, the Modi government does not seem to be doing enough to achieve the objectives of the mission. At least statistics say so (Table-4). To sum up, lacking a concrete roadmap, adequate finances and political will, the government’s solemn protestations regarding its commitment to promoting entrepreneurship among Dalitbahujans ring hollow. Galbraith, in his book Economics of Innocent Fraud: Truth of our Time, explains how American society has started using the word “market economy” for “capitalism”. This is nothing but wordplay aimed at concealing the bitter truth. “Sabka Sath, Sabka Vikas” is a similar innocent fraud. The real intent of the government is reflected in its decisions like abolition of wealth tax and reduction in the rate of corporate tax from 30 to 25 per cent. The government is smoothing the path of capitalists and depriving the rural poor of a job guarantee. This is a sure recipe for upsetting the social balance. Those who sow the wind shall reap the whirlwind. Mr Modi, where has our Rs 2 lakh crore gone? दलित पूछ रहे सवाल,कहां गये हमारे 2 लाख करोड़ रुपए?